All contacts must be made within the 75-meter Extra Class sub band, and each QSL card must indicate a 2-way SSB QSO. 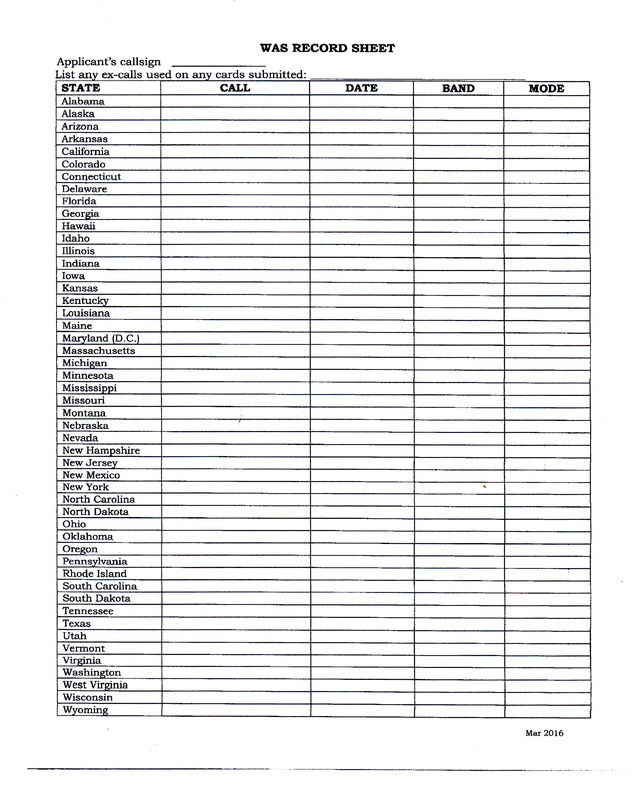 The frequency must be listed to 4 digits, such as 3.668 MHz. The Geratol Net will not accept 3.5 MHz. or 75 meters, because that QSO could have been outside the Extra Class sub band. This is the award that gets you your own Geratol Number. The award is assigned a unique serial number when issued. This number becomes your Geratol Number. 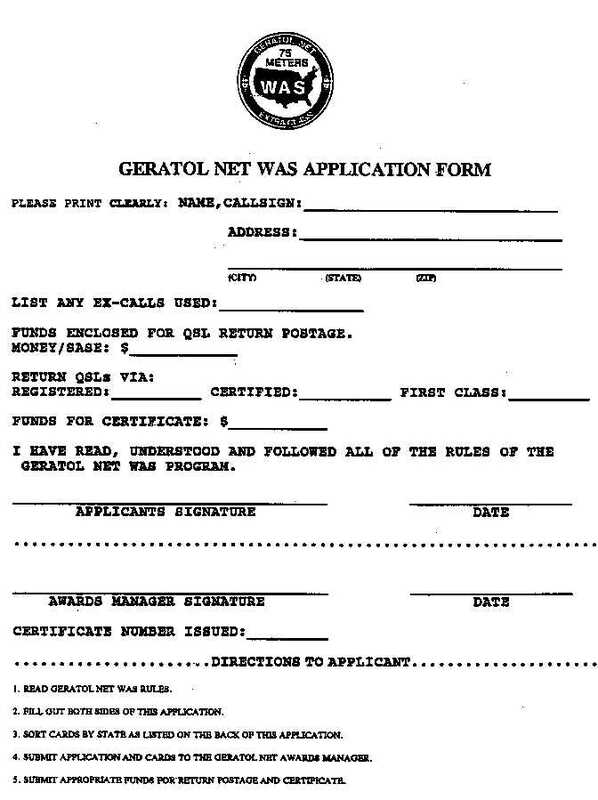 When all 50 cards are in hand, follow instructions on the Geratol Net WAS application form. 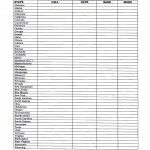 Submit your cards to the Awards Manager. If you want the GERATOL Net to return your cards, be sure to enclose return postage. There is a $10 fee for this award. More detail about How to submit your application for the Basic Award. QSL cards must clearly indicate that the QSO took place in the Extra-class sub-band of 80 meters. To do so, the frequency should be specified in MHz to three decimals, i.e. 3.668 MHz. This avoids any ambiguity in verifying the sub band. e-QSLs from Authenticity Guaranteed eQSL users may also be submitted. Print out the entire card including the Authenticity Guaranteed seal below the card. eQSL users should indicate the frequency in the comments field of the QSO so that it shows for the recipient.